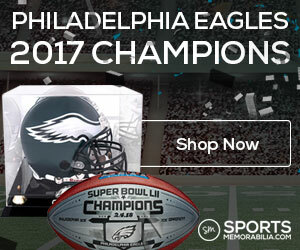 The Philadelphia Eagles are not resting on their championship laurels after winning Super Bowl LII. They acquired Seattle Seahawks defensive end Michael Bennett in a trade that sent the Super Bowl XLVIII champion and a seventh-round pick to the land of grunge and Starbucks for wide receiver Marcus Johnson and a fifth-round pick. Bennett, who had 8.5 sacks in his final season with the Seahawks, will join a defensive line rotation that features Chris Long, Pro Bowl tackle Fletcher Cox, and of course, Super Bowl hero Brandon Graham. The Bennett move likely means the end of the line for defensive lineman Vinny Curry, who is rumored to be on the way out unless he takes a pay cut. Philly’s newest acquisition is quite thrilled to be joining the defending Super Bowl champions…and is probably thrilled to hear Dreams and Nightmares by Meek Mill at some point according to Twitter. The former Pro Bowler should be a great fit in Philadelphia. It’s a great move by the Eagles. Remember, as great as they played offensively during the Super Bowl, they did allow 505 yards passing. While the Eagles got the pressure when it mattered most against Tom Brady, their lack of heat almost cost them a Vince Lombardi Trophy. They aren’t taking any chances next time around. By the way, how great is that Eagles locker room going to be with social activists like Malcolm Jenkins, Long, and Bennett. That is what the kids call WOKE.